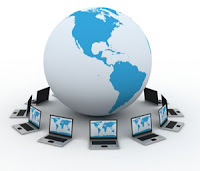 We all know that Internet has now become one of the important element in all our life. On Earth Day we will find out how Internet is affecting our World Environment? Is it possible that our tech gadgets and online internet activities themselves might be harming the planet or earth in someway? We know that the data centers that power our favorite applications and websites are far from green, although Google and Facebook are attempting to change that, both in the kinds of energy we use and how much energy is needed. An Environmental Organization, Greenpeace warns that the same companies have caused consumers’ “addiction to dirty energy” and are increasing their energy consumption by around 12% each year. And everything we do online, from web searches to spam emails, leads to a certain amount of CO2. Have a look at following image to know how Internet Affects World Environment.